It's been about 2 1/2 months since I set out to write my first book, and I'm happy to announce that it's now absolutely, completely, and 100% done and available for download. If you're already a part of the Buddhaimonia newsletter you'll be getting a welcome email with a download link to the book- for FREE. Yep, you're getting The Little Book of Mindfulness for free. Along with the welcome email that includes the TLBM download link, you'll also begin getting my new and exclusive email content series. About an email a week (then later an email every 2 weeks), this content series will guide you through the process of developing a daily practice which nourishes your mind and body, leads you to greater peace and happiness, and helps you realize your true potential. And it will direct you to some of my best content which covers the various topics that I'll discuss in those emails. So why am I giving away for free something I've worked so hard on? The world is constantly changing, and being an author in 2014 isn't what it was even ten short years ago. But I mean that in all the right ways. Get idea -> Send proposal to publishing companies -> hope you hear back (99% of the time you don't, and your career as a writer grinds to a halt) -> If you're lucky, you hear back, get a deal, begin writing manuscript, finish writing, and then go on tour promoting the book (and getting the book promoted for you by your publishing company). Self-published authors really are that- they do essentially every part of the publishing process, with the help of a number of key online resources, themselves. I now have great respect for any self-published author. This was a big undertaking, especially considering how many pages long The Little Book of Mindfulness turned out to be (and my next, Zen for Everyday Life, will be 150~...). Sure, blogs don't typically give away books as large as the one I'm giving. But at this early stage of Buddhaimonia's growth, I feel it will be worth giving The Little Book of Mindfulness away for free in order to get myself out there and to start building a community of people on Buddhaimonia that can support one another. 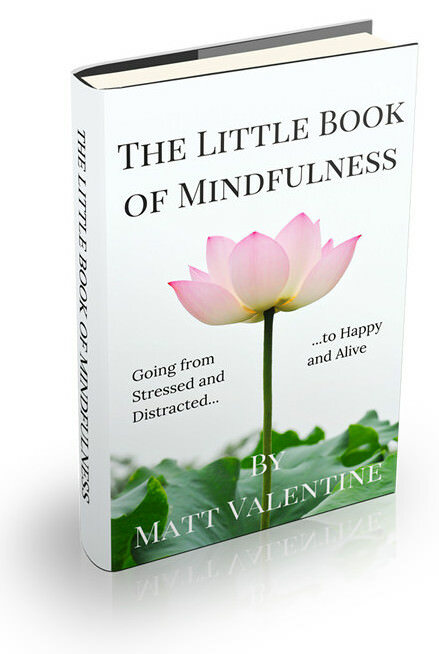 I'm deeply grateful for anyone who has, or will, promote The Little Book of Mindfulness. If you appreciate the book, let someone know about it whom you think could benefit from it. From the bottom of my heart, I thank you for your support. I hope the book brings you peace and joy.